We are rounding that corner into the holiday season, which means we are also coming to the end of the year and the time-honored year in review process. Agents and Realtors® will be looking back over 2017 to see where they made gains and where they still need improvement. Before you look at making changes in your business, be sure you look closely at your current process to grow your Real Estate business in 2018. Remember the old adage “there’s always room for improvement”. Where do your leads come from? Even though your listings and the marketing you do for your listings remain one of the best avenues for Realtors to secure new business, they are not the only place. Paid Advertising- Whether you use Google Adwords, Bing Ads, Facebook Ads or Yahoo Advertising you are spending a lot of money for placement. Do you know what your ROI is or if you are getting the most from your investment? Here is a place you might look for improvement to grow your Real Estate business in 2018. Search Engine Optimization (SEO)- This is an area that should be examined annually if not more frequently. Search engine algorithms are changed frequently, sometimes in part and sometimes by a complete overhaul. This can wreak havoc on your niche marketing strategy. For more info read our Active Rain blog Google algorithms, and be sure you look at your SEO strategy to grow your Real Estate business in 2018. Zillow, Realtor.com and maybe Amazon – Paying a fee for leads passed along to you. There is not much room for negotiation here, but make sure lead follow-up is airtight. You have to be sure that you get the ROI from leads purchased. If you find any leaks, be sure to seal them to grow your Real Estate business in 2018. Social Media- Facebook, Instagram, Twitter and Snapchat to name a few. Where is your audience? As millennials move beyond “young” people they are changing the face of where Realtors and Agents need to be hanging out socially online. Be sure you are where you need to be online to grow your Real Estate business in 2018. Places You Might Not Have Thought Of – There are places that, believe it or not, still remain greatly untapped. A few examples are Google My Business, LinkedIn, and Nextdoor. Agents can do a land grab on some valuable online Real Estate (pun intended). For more information about these untapped online bastions that can help you grow your Real Estate Business in 2018, check out this article on Inman. You have the leads, now what? There is a study that revealed how important your follow-up process is. Once a contact is identified it is very important for Agents to follow- up within 5 minutes if possible. After one hour, your chances of converting that contact to a qualified Lead drops drastically (by around 82%). If broken down even further, the number of conversions decreases even more dramatically between 5 and 10 minutes (between 80-81%). When you get a notice that a new contact has been identified, regardless of where it came from, how do you handle it? According to the information gathered over three years from six different companies, Realtors and Agents that are able to immediately follow-up have much higher conversion rates. This area will most likely have room for improvement so you can grow your Real Estate business in 2018. If you have Real Estate Marketing tools, make sure you are fully utilizing their functionality. Many Agents and Brokers invest in CRM systems but then do not fully deploy their features or find that the system they use is not designed to meet the specific needs of Real Estate. You can improve your conversion and lead incubation by better understanding your business solutions. 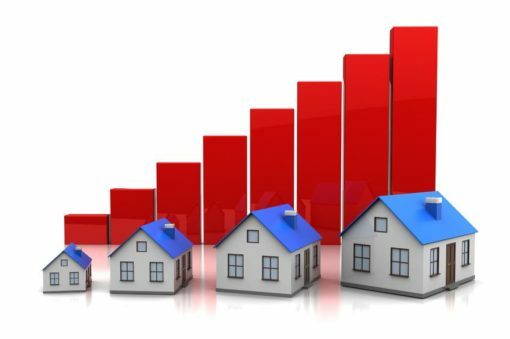 Improvement here will increase the ROI on your investment and help you grow your Real Estate business in 2018. Occasionally, an Agent will realize that they need help to improve one or more of these areas. There are highly specialized resources available to help you grow your Real Estate business in 2018. If you find that you need help with customer relationship management because you don’t have a Real Estate Specific IDX CRM or you have a system that was not designed for Real Estate, contact us. We have been helping Real Estate professionals with IDX based solutions since 2002. 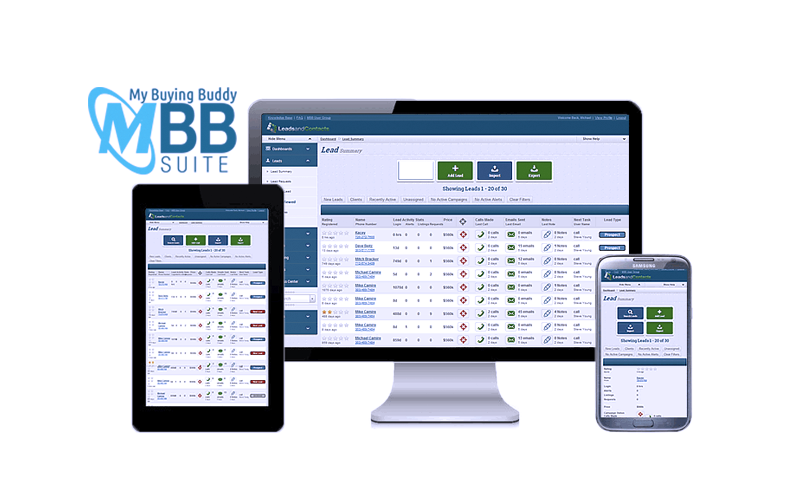 Our Buying Buddy IDX CRM suite (MBB) is designed to help you excel at Real Estate marketing with an IDX based CRM suite. We can help you grow your Real Estate Business in 2018.